The recently released IPCC SR1.5 report is unequivocal: we are beginning to experience the impacts of climate change, and it will take “rapid, far reaching and unprecedented changes in all aspects of society” to keep global warming below the crucial threshold of 1.5°C. As professionals, we have the opportunity and responsibility to address both climate change mitigation (emissions reduction) and adaptation (responding to the impacts we cannot avoid). Our associations have a crucial role to play in advancing ethics, awareness, practices and policies that support integrated action on climate change, due to our prominent roles in many aspects of the development and management of resources, ecosystems and communities. As such, we acknowledge that climate change is causing a variety of unavoidable impacts, many of which are projected to increase in duration, magnitude and severity. In the years ahead, these impacts will affect the outcomes of professional decisions made today. There is widespread recognition that we must plan ways to adapt, and that reducing greenhouse gas emissions is crucial if we are to minimize the risks – both types of actions are urgently required. Typically, mitigation and adaptation have been addressed separately; however, every opportunity to mitigate or adapt must be explored. Can an adaptation solution incorporate mitigation? Can a mitigation solution incorporate adaptation? Can thinking that incorporates both action streams as one process lead to transformative approaches? Integrating these perspectives in a “Low Carbon Resilience” (LCR) lens to guide decision-making and best practices, where appropriate, can save time and resources, increase returns on investment, and generate economic, environmental, social, and health co-benefits. Ensuring the two streams of action are coordinated and cross-evaluated can also help to avoid risks and unintended consequences associated with advancing them separately. 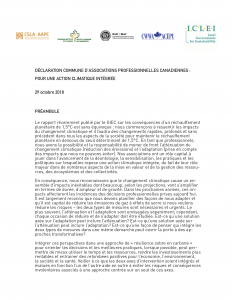 Le rapport récemment publié par le GIEC sur les conséquences d’un réchauffement planétaire de 1,5°C est sans équivoque : nous commençons à ressentir les impacts du changement climatique et il faudra des changements rapides, profonds et sans précédent dans tous les aspects de la société pour maintenir le réchauffement planétaire en dessous du seuil déterminant de 1,5°C. En tant que professionnels, nous avons la possibilité et la responsabilité de mener de front l’atténuation du changement climatique (réduction des émissions) et l’adaptation (prise en compte des impacts que nous ne pouvons éviter). Nos associations ont un rôle capital à jouer dans l’avancement de la déontologie, la sensibilisation, les pratiques et les politiques sur lesquelles repose une action climatique intégrée, du fait de leur rôle majeur dans de nombreux aspects de la mise en valeur et de la gestion des ressources, des écosystèmes et des collectivités. En conséquence, nous reconnaissons que le changement climatique cause un en-semble d’impacts inévitables dont beaucoup, selon les projections, vont s’amplifier en termes de durée, d’ampleur et de gravité. Dans les prochaines années, ces impacts affecteront les incidences des décisions professionnelles prises aujourd’hui. Il est largement reconnu que nous devons planifier des façons de nous adapter et qu’il est capital de réduire les émissions de gaz à effets de serre si nous voulons réduire les risques – les deux types de mesures sont nécessaires et urgents. Le plus souvent, l’atténuation et l’adaptation sont envisagées séparément; cependant, chaque occasion de réduire et de s’adapter doit être étudiée. Est-ce qu’une solution axée sur l’adaptation peut inclure l’atténuation? Est-ce qu’une solution axée sur l’atténuation peut inclure l’adaptation? Est-ce qu’une façon de penser qui intègre les deux types de mesures dans une même démarche peut ouvrir la porte à des approches transformatives? Intégrer ces perspectives dans une approche de « résilience sobre en carbone » pour orienter les décisions et les meilleures pratiques, lorsque possible, peut per-mettre de mieux utiliser le temps et les ressources, rendre les investissements plus rentables et entrainer des retombées positives pour l’économie, l’environnement, la société et la santé. Veiller à ce que les deux axes d’intervention soient intégrés et évalués en fonction l’un de l’autre aide en outre à éviter les risques et conséquences involontaires associés à une approche centrée sur un seul de ces axes. Reconnaissons les implications déontologiques et pratiques du changement climatique pour tous les professionnels. Attendons de nos membres qu’ils développent leurs approches actuelles fondées sur la science et axées sur la connaissance pour mieux incorporer les meilleures connaissances scientifiques disponibles dans leurs décisions professionnelles et envisagent activement des mesures combinant l’adaptation et l’atténuation. Reconnaissons la nécessité de nous tenir au courant des pratiques actuelles et passées, dans le but de mieux informer nos membres sur les meilleures pratiques compte tenu du changement climatique. Acceptons que l’innovation pour lutter contre le changement climatique peut comporter des risques et des incertitudes. Reconnaissons notre responsabilité civique d’être des chefs de file solides dans nos collectivités et nos sphères d’influence en ce qui concerne des problèmes pressants comme la nécessité d’une action climatique intégrée. On December 13th, the Executive Director of ACT, Deborah Harford was invited to speak with CBC’s The Current about challenges our society faces in the special edition 11 Years: A Blueprint For Climate Action. Deborah spoke to the need for an immediate focus on solutions, benefits and opportunities. For the full episode see here. 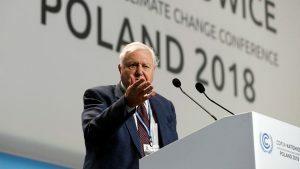 Just a week after the naturalist Sir David Attenborough spoke passionately from the “People’s Seat” in Katowice, Poland at COP 24, the United States government officials are defending the fossil fuel industry. This point was echoed by Antonio Guterres, the UN Secretary General, during the opening ceremony stating that climate change is “a matter of life and death” for many countries. Ian Fry, the lead negotiator for Tuvalu (an island nation highly likely to be impacted by sea-level-rise) has called the United States and Saudi Arabian government’s official indifference to the United Nations report “truly disturbing,” referring to the ‘welcoming’ of the recent IPCC report on 1.5C temperature increase. The US administration is aware of the fact damages caused by climate change could reach “hundreds of billions of dollars” by the end of the century to the American economy, with extreme events affecting everything from health to infrastructure in the coming decades. Climate change impacts have all been highlighted in the Fourth National Climate Assessment, released by the U.S. Global Research Program. Their actions in Poland indicate an extraordinary indifference to this catastrophe and the effect it will have on Americans. For more reporting on COP 24 see the BBC page here and for a summary of the Fourth National Climate Assessment see here. On December 5, 2018, the B.C. government released Clean BC – our pathway to a more prosperous, balanced and sustainable future. It builds on recent announcements, such as mandating 100% of new cars to be zero-emission vehicles by 2040; providing rebates for efficiency upgrades including insulation and heat pumps; signing a memorandum of understanding with business on a low-carbon economy; and intervening in court to support carbon pricing across Canada. CleanBC highlights four pathways to a cleaner BC. Each includes significant actions that help us to use energy more efficiently and prevent waste, while making sure the energy we do use is the cleanest possible. It also sets out an effective blueprint to build a cleaner economy. The B.C. government is also developing a provincial climate change adaptation strategy for release in 2020 to prepare for climate risks that are now unavoidable. The Province is building the foundation for a new adaptation strategy by working to understand the key risks facing British Columbia. Key steps include developing a Strategic Provincial Climate Risk Assessment framework and completing a strategic assessment of provincially significant climate-related risks. 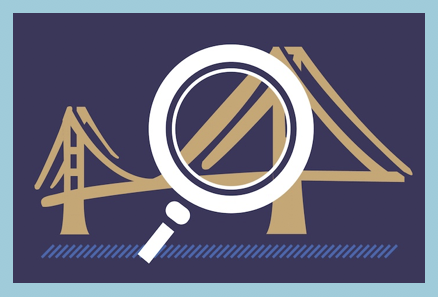 The Federal Government recently introduced a Climate Lens assessment for those seeking funding for new major public infrastructure projects. Listen to François Levesque of Infrastructure Canada and Dirk Nyland of the BC Ministry of Transportation and Infrastructure delve into the resilience assessment component of the Climate Lens. This webinar will take you from a high-level look at the resilience assessment to an on-the-ground example of a BC project to demonstrate how the assessment can be applied for small-scale projects. The Interdisciplinary Centre on Climate Change (IC3) is hiring a Director. This position is central to maintaining and advancing the University of Waterloo (UW) as a leading centre for research and knowledge mobilization on the impacts of global climate change and the transition to a decarbonized and climate-resilient society in Canada and around the world. The Director will have a full understanding of the scope of IC3 activities and will have a leading role in the development and implementation of strategic plans and partnerships to advance the mission of IC3. The Director is responsible for aspects of overall business leadership, management of relationships with members and other key stakeholders across campus, external partnership development, promotion of research activities and knowledge mobilization, oversee day-to-day operations, and support of UW’s leadership in climate change education and training. For more information on the Interdisciplinary Centre on Climate Change (IC3) and to apply for this position see here. 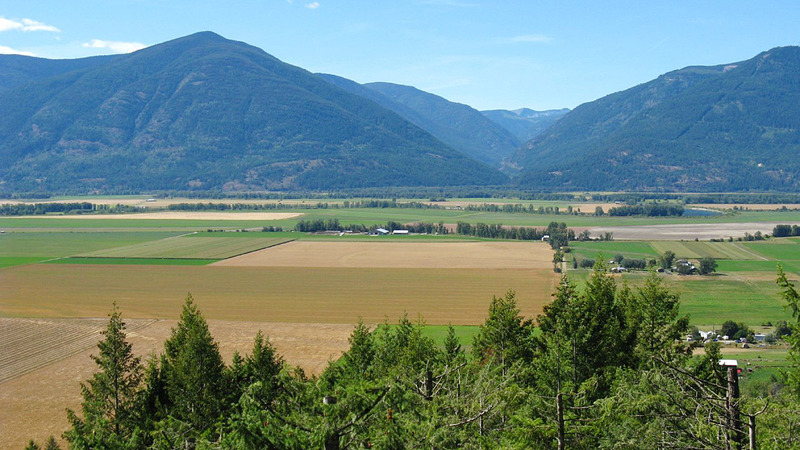 New regional adaptation strategies are being developed to help Kootenay and Boundary agricultural producers prepare for climate change. Farmers in the East Kootenay, Central Kootenay and Kootenay Boundary regional districts have been invited to participate in the strategies’ planning process on Dec. 4, in Creston and Dec. 6 in Greenwood. The process brings together agricultural producers and specialists, along with local and provincial government representatives. Participants will learn about the latest climate change projections for the Kootenay and Boundary regions and will discuss the likely impact on agricultural production. Attendees will also brainstorm actions to help producers adapt to climate change impacts, such as extreme weather, drought, wildfires, excess moisture and flooding as well as the changing risks associated with pests, diseases, weeds and invasive species. For more information and to register for the workshop see here. ACT’s Executive Deborah Harford was quoted in this recent CBC News article describing that “in the 21st century, all policy, planning, and decision-making, whether political or personal, has to be made through a low-carbon resilience lens that’s designed to reduce emissions and build resilience to climate change.” Deborah was then interviewed on CBC’s The Early Edition (recording of the interview can be found here) on November 29th. 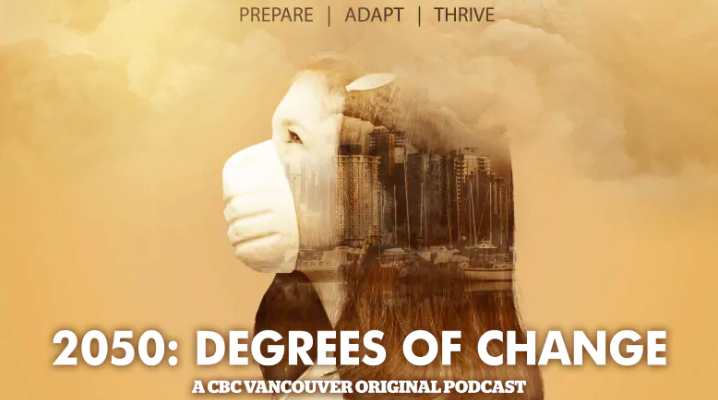 Also, check out CBC’s award winning podcast 2050: Degrees of Change hosted by meteorologist Johana Wagstaffe who explores how our world and lives will adapt to climate change within a few decades. The most recent episode features Deborah and other experts on a panel discussing what kind of changes are meaningful enough to alter the path as we head towards the year 2050. 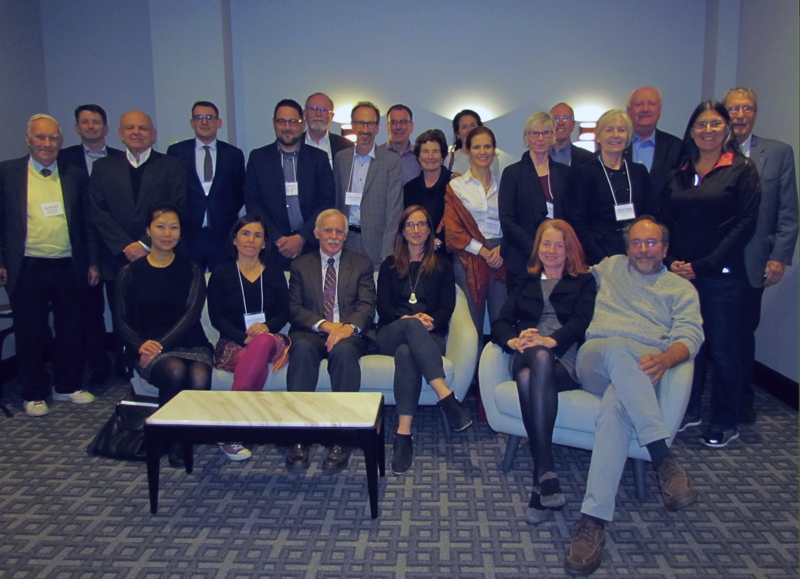 On October 22nd and 23rd, the Executive Director of ACT, Deborah Harford and members of the Expert Panel on Prioritizing Climate Change Risks met in Montreal to guide the Council of Canadian Academies Prioritizing Climate Change Risks assessment workshop. 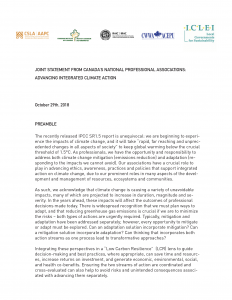 The group convened to provide expert insight and experience in order to answer the question: what are the top climate change risks facing both Canada and the federal government, and their relative significance, and which have the most potential to be minimized by adaptation measures? For the full list of the participants of the workshop see here. A new free-to-use tool has launched by Ecosphere+ in order to help businesses calculate their carbon footprint and provide a number of opportunities to offset emissions through a portfolio of forest conservation projects. Create climate positive (Climate+) products and services, using our Climate+ logo to indicate your commitment to your customers. 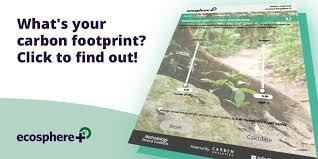 For more information on the Ecosphere+ Carbon Footprint Calculator see here.